Why Choose Us for Interior Painting? We know that hiring a contractor to work inside your home requires a lot of trust! So we take pride in a team with exceptional integrity and simply put: people you will feel comfortable working inside your home. To save time only cover some things but risk getting paint on furniture or floors. Skip the prep and go right to painting which can result in peeling and blistering. Being in a hurry results in poor coverage, and sloppy lines. Once paid for the job, it becomes difficult to get them back for any follow up work. We sand and prime woodwork as needed to promote adhesion and optimize the performance of the topcoat. If there is anything you are unhappy with during or after the project is completed, we will make it right for you. You can expect your Spray n’ Coat painter to be a very respectful, friendly, and skilled painter. 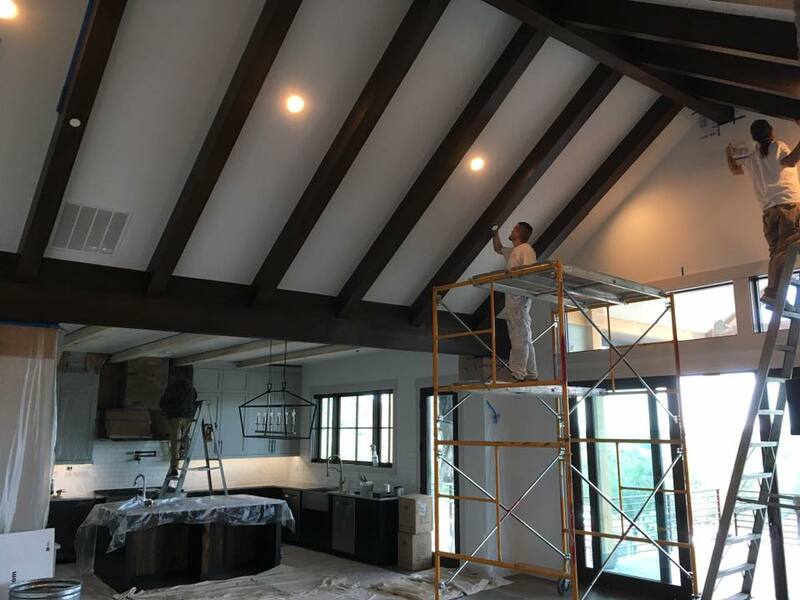 Spray N Coat offers professional interior house painting in Boise ID as well as professional exterior house painting in Boise. Spray ‘n Coat Painting provides clean and affordable professional painting inside of your house. This includes brushing and rolling paint or spraying depending on the project and your preference. If you are currently living in the home, we customize a plan that best fits your needs. This can vary from using a basic brush and roll technique throughout your home to breaking up the project into different stages and completing a full interior repaint, one section at a time. This approach allows us to paint one side of your home while you live in the other side. 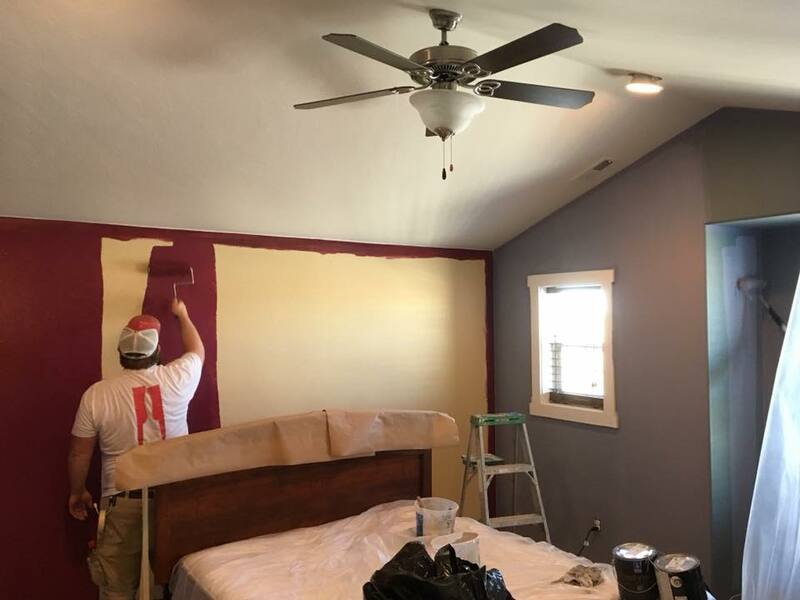 While we can just paint a room or two for you, our most common interior painting project is a home that was just purchased and is ready for a complete interior painting makeover! We specialize in painting bank owned REO homes, rentals or just a well lived in home and making it look new again. First of all we cover all the floors, window, vanities, railings, counters, etc. so that all of the non-painted surfaces stay protected. Then, we lightly sand and clean all of the trim and doors in the house and after caulking all the cracks we spray two coats of a durable semi-gloss enamel on the trim and doors. Initially, many people don’t think we need to paint the trim, but doing so really gives the project a finished new home feel. After the trim and doors are finished, we fill all the nail holes and cracks and re texture as needed. We also use a stain blocking primer on areas as needed to seal out smoke, crayon or markers, and any other unidentifiable markings! Once the walls have been thoroughly prepped, we apply as many coats of paint as necessary to create a beautiful finish on the walls. We usually use a low sheen or eggshell finish unless otherwise specified. 5. For the ceiling we either paint it the same color as the walls or if a different color is chosen such as white, we then mask the walls off and spray the ceiling last. 6. Lastly, we clean up all the drops and masking, give your home a final walk through and perform touch up as needed, and do our best to leave your home cleaner than we found it! We hired Mark to paint the interior of a recently purchased rental property in ID. The house is almost 3000 square feet and all of it needed painting. He contacted me right away, emailed a detailed estimate, and worked with me throughout the project to ensure our house was thoroughly painted/cared for while staying within budget. In addition to the painting, we had him resurface the counter tops in the kitchen. They went from pepto-bismol pink to an awesome stone look. It was an incredible and very cost effective transformation. Spray ‘n Coat Painting did quality work in a timely manner, and offered competitive rates. We just moved to the area and our closing date kept being delay, but Spray ‘n Coat Painting was great about our changing project date. They even offered to come back and do touch ups after we moved our furniture into the house. My husband and I were extremely pleased with the crew from Spray ‘n Coat Painting. They worked with us and had an interior designer give us assistance as well. After the crew was finished a few touch ups were needed and they were prompt, helpful and willing to work on our schedule.